← Come Learn About Ferns! Through the remainder of August and into September we’ll be featuring some local artisans in the studio. If you’d like to get a jump on some holiday gift purchasing and want to support some local artisans, this may be your chance. The studio will be open Wednesday through Sunday, 9-5. 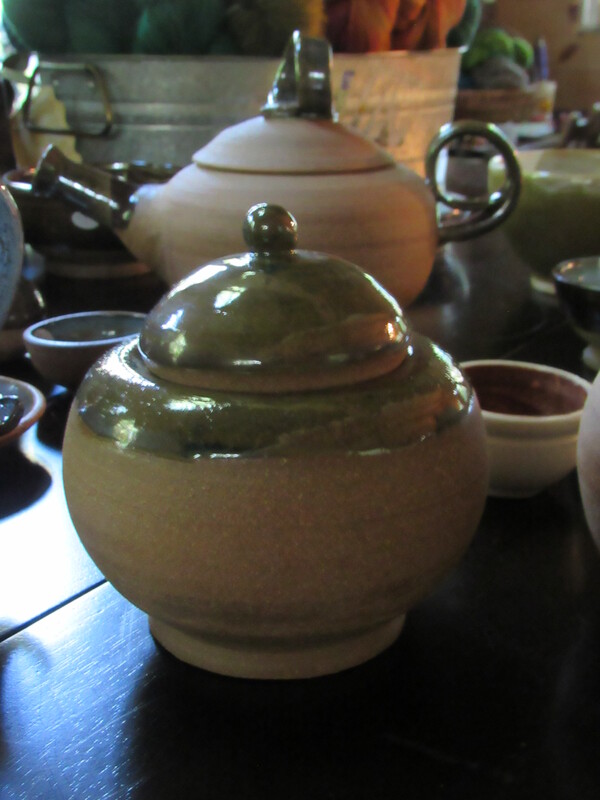 Our friend Sett Balise (brambledragon.com) is an accomplished potter from Liberty, Maine. 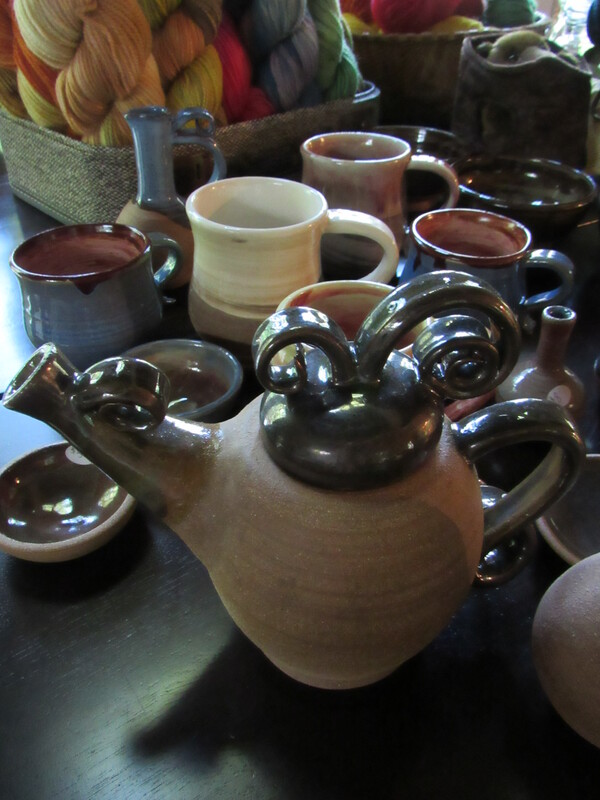 Sett has a beautiful and functional selection of pottery available ( we eat oatmeal out of some of his bowls all winter! ), come check it out! 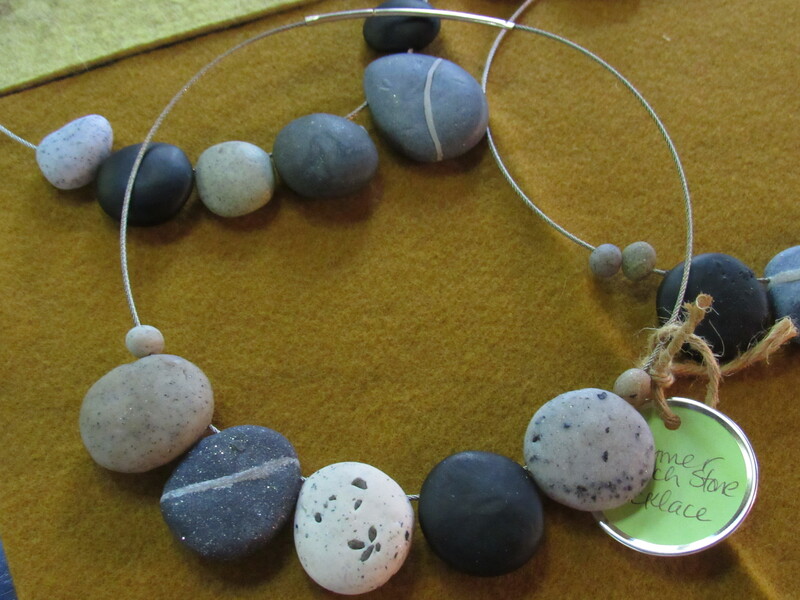 My friend Sally Savage, photographer and mixed media artist, left a small collection of her polymer clay ‘beach stone’ necklaces for purchase. Sally will also be teaching a class this Fall at Fiber College if you’d like to join the fun and make some stones on your own. And of course, there will be yarn for sale….handspun, hand-dyed yarn from our own flock of Blue-Face Leicester sheep! 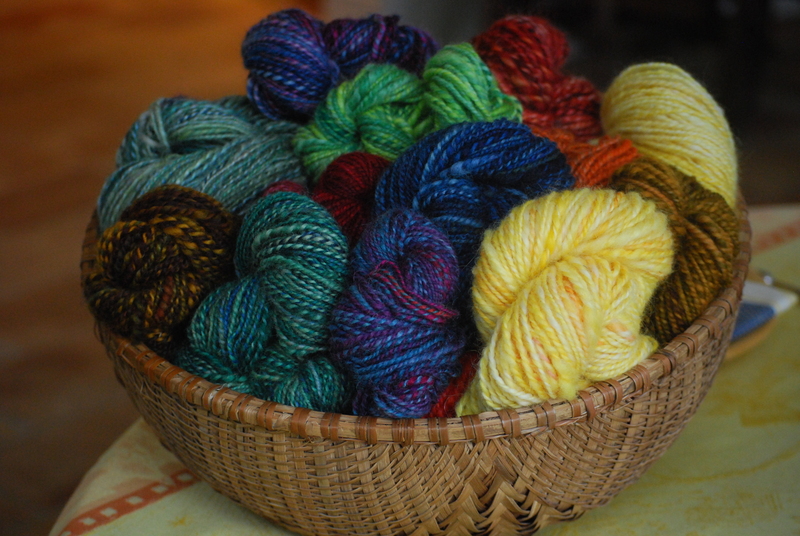 It’s never too early to increase your winter yarn stash! Come check out the studio, wander the gardens, and find out what’s happening these days here at Fernwood! Nice! In September, our daughter Shannon will be visiting. If time and weather, allow, perhaps we’ll come visit Fernwood. It will be great to see you again! Just had our first grandbaby born this week…..Violet Louise…whoo hooo!!!! Oh, congrats, congrats! What a lovely name for a darling baby. D > Are those colour-mix skeins the BFL? If so, they’re sure to fly!